"Another democrat was arrested earlier today after following the advice of Maxine Waters and threatening political violence against a member of congress. The target was the campaign staff and office of Republican lawmaker Lee Zeldin (NY-1). New York--"Suffolk County Police today arrested a Nesconset man for making a terroristic threat against a campaign worker at Lee Zeldin’s Congressional Campaign Headquarters in Nesconset this morning. 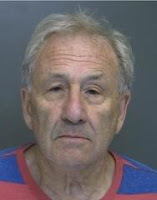 Martin Astrof was arrested after he threatened to kill supporters of Congressman Lee Zeldin and President Donald Trump. Astrof went to the campaign headquarters of Congressman Zeldin and became irate with a campaign worker at approximately 11:15 a.m. After threatening to kill the campaign worker and other supporters, Astrof backed his car up in an aggressive manner nearly striking the worker. Astrof fled the scene and was arrested a short time later in front of his home in Nesconset. "In the US, political scores are settled at the ballot box, not by trying to kill your political opponents. Donato Panico is a great American, supporter of @realDonaldTrump and one of my campaign vols. He shouldn't have been targeted like this today for his passion and involvement. https://t.co/Rh8Ae6MR4x— Lee Zeldin (@leezeldin) July 7, 2018"
In another incident a few days ago, Capitol Hill Police issued an arrest warrant for another Maxine Waters follower who threatened to chop up Senator Rand Paul’s family with an axe. The threat of political violence from authentic democrats continues with greater frequency. "Disturbing video of young Trump Supporter having his MAGA hat stolen and a drink thrown in his face. Date/Time: July 6, 2018 at approximately 11:15 a.m.
Suffolk County Police today arrested a Nesconset man for making a terroristic threat against a campaign worker at Lee Zeldin’s Congressional Campaign Headquarters in Nesconset this morning. Martin Astrof was arrested after he threatened to kill supporters of Congressman Lee Zeldin and President Donald Trump. Astrof went to the campaign headquarters of Congressman Zeldin and became irate with a campaign worker at approximately 11:15 a.m. After threatening to kill the campaign worker and other supporters, Astrof backed his car up in an aggressive manner nearly striking the worker. Astrof, 75, of 7 Meryl Lane, was charged with Making a Terroristic Threat, a felony, and Reckless Endangerment 2nd Degree. Astrof will be held overnight at the Fourth Precinct and is scheduled to be arraigned at First District Court in Central Islip on July 7. A criminal charge is an accusation. A defendant is presumed innocent until and unless proven guilty."